The holidays are slowly but surely approaching… That special time of year which is so incredibly magical and yet endlessly stressful. Year after year, one of the biggest struggles leading up to the festivities is the daunting task of finding the best gifts for our favourite people. They deserve the absolute best, and you deserve a little downtime. So this winter we decided to make it a little easier on you by collaborating with a few of our favourite travel bloggers and giving you some tips on the best gifts for travellers. Our bloggers came back to us with some incredible ideas, and loads of them have already made it onto our own wish lists. Now, whether there’s an intrepid adventurer in your life, a friend with really big dreams, or perhaps someone who just needs a little push! these gifts are sure to hit the spot. 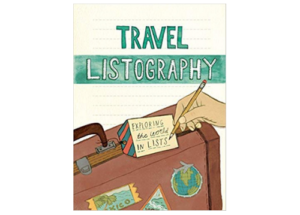 My go-to gift for travel lovers is the Travel Listography book. I have one of my own, and it’s always a source of creative joy in a quiet moment. As good for memories as it is for pipe dreams, it encourages all my family to share their travel passions, and helps us prioritise our next adventure. A good head torch is an essential gift for any intrepid traveller. 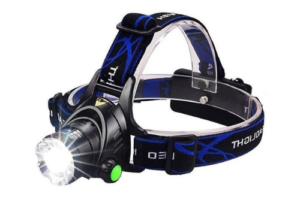 Whether it’s for nights camping under the stars, late evenings strolling through bustling cities during a power cut or a dawn hike to a summit for sunrise; a good quality head torch with excellent range and reliable batteries is a must. This thoughtful gift is small enough to fit neatly into anyone’s backpack and means they don’t have to waste phone battery by using the phone’s torch in an emergency. While we like to think that we are moving to a paperless world, however, when you are travelling there are still many documents (Passport, EHIC, Insurance) that you need to carry with you. 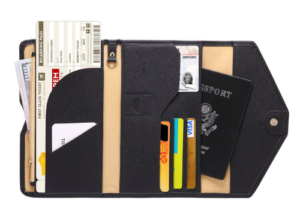 Keep these concurrently, organised and to hand in a travel document wallet. Perfect for having everything ready at check-in, boarding and when your travelling. 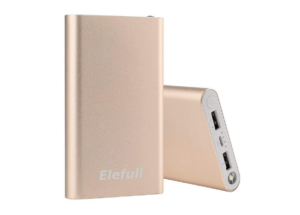 A power bank is one of the most crucial items for any traveller. Considering we use our phones for GPS, taking photographs, making emergency calls, or even just listening to music, carrying a power bank will prolong your battery life and avoid stressful situations. 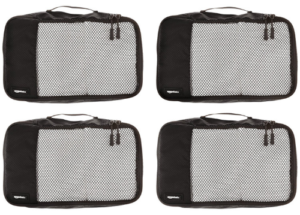 Packing cubes keep suitcases tidy and organised when travelling. The cubes are lightweight and help to arrange items of clothing, shoes and toiletries into some order. 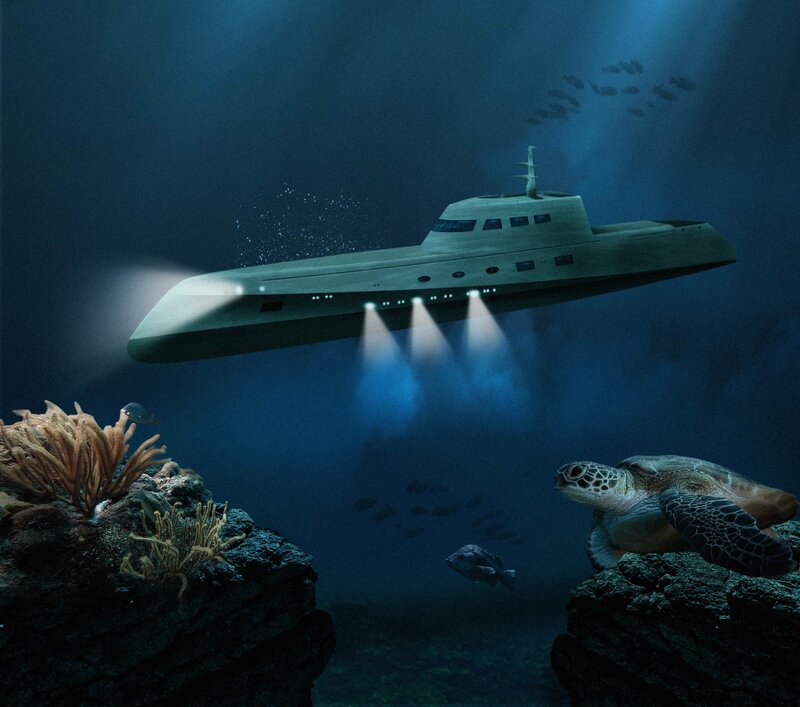 They are great when space is tight and makes life easier for travellers. Packing Cubes can also be used as a laundry bag on your journey home, so you can whip out the stinky clothes and get them straight in the wash on your return. There are all sorts of different styles and colours to choose from and fellow family travellers rave about them. You might just need to work on your Tetris skills beforehand! 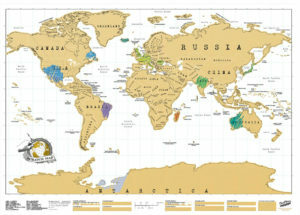 Scratch Maps are one of the best gifts for travellers. Simply scratch off the metallic foil from the places you’ve visited to reveal a bright pop of colour underneath. It’s honestly the ultimate gift, and the perfect way to show off where you’ve travelled while livening up your wall with a colourful, unique and personalised world map. 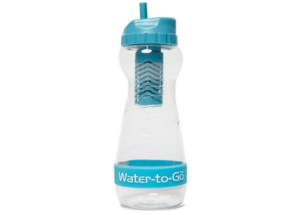 Our top travel gift is a reusable water filter bottle. These bottles instantly make various types of unsafe drinking water completely safe to drink, so are the excellent companion for all kinds of adventures, and goes a long way to helping travellers cut down on plastic usage. We use the Water-to-Go bottles. When we started travelling more often, we opted to capture our memories with photos. It’s still tricky to snap a good family photo with a toddler that’s always on the run, but the Gorillapod Tripod makes it a bit easier. 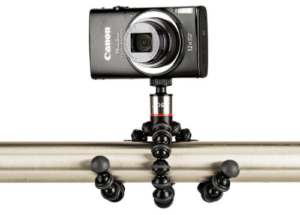 This tripod comes in a few variations and is small and lightweight, which makes it easy to carry around when exploring a new city. One of my favourite travel items is a personalised Yeti tumbler. I am a big coffee drinker, and this tumbler keeps coffee hot all day! It is my go-to mug for road trips as it fits perfectly in my car cup holder. 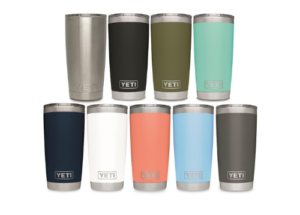 A Yeti tumbler also keeps cold beverages frosty for a super long time, so perfect for those that like cooking, or cold – or both! I love the personalisation, it makes my mug stand out and would make a unique gift any recipient would love! When I first started travelling, I quickly realised the importance of a compact, portable headrest. 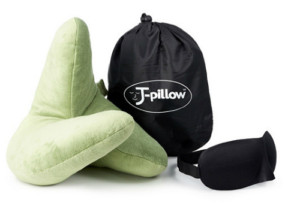 I must have tried half a dozen different types before discovering ‘J Pillow’ looks rather bizarre – almost like a stuffed elephant – but the comfort was unparalleled. This product revolutionised my travelling life, and I still take it everywhere with me, on trains, cars, planes – even to sleep on! A travel journal is one of the best gifts for travellers of any age. No matter where you find yourself, a journal allows you to capture that moment better than a photograph can. Write down your thoughts or feelings, sketch what you see, paste printed photographs, or insert small mementoes inside. 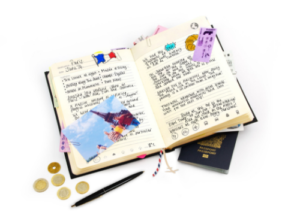 Give travel journals to each family member and see their story from their eyes. As a parent out must-haves for travelling tend to be things that bring us together as a family. 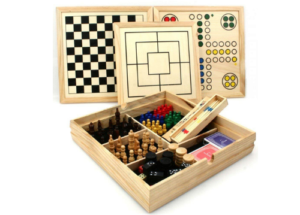 So we love portable games, such as cards, dominoes, chess and ludo. Other fab portable family games are Dobble, Bananagrams, Baers v Babies, and Exploding Kittens. These handy little speakers are the ideal travelling companion for music or podcast lovers. Pop one (or two) in a travel bag or suitcase and you can listen to your favourite tunes in a hotel room, on a balcony or even on the beach. 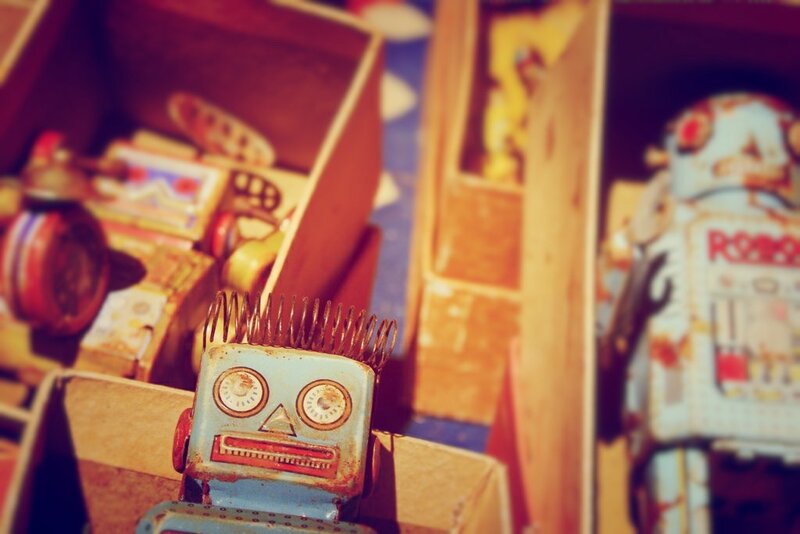 They’re cute, compact, super useful and won’t break the bank. So the ideal gift! 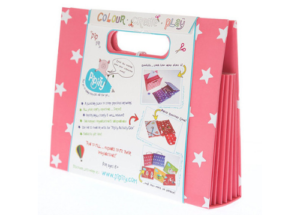 We love the Pipity Activity Sets. They are travel essentials for kids of all ages. We take these creative games with us on every trip. They are so compact and useful that the kids have everything they need in one bag. 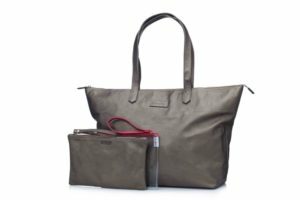 A practical but stylish travel bag is a perfect travel gift for travelling mums. The Mia Tui bags have some brilliant features such as an insulated bottle pocket, a clear bag for liquids and toiletries at the airport, a phone pocket, pen holders and even another small matching bag inside. We’ve discovered a brilliant rucksack that we’d recommend for anyone in need of a versatile piece of hand luggage. 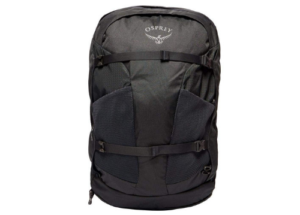 The Osprey Farpoint 40 can be packed like a suitcase and carried like a rucksack. It has lots of pockets for tech and as well as snacks if you’re travelling with kids. It meets cabin baggage allowances and is light giving you maximum space to fill it with what you need for your journey. Why not have this small convenience for you to ensure a good nights sleep no matter where you go. 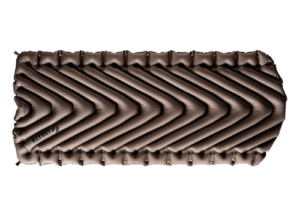 This travel air mattress is number one recommendation for travellers and is the single most crucial gadget we take with us on our adventures. After all, getting a good nights sleep is so important. A compact and lightweight carry-on bag is the perfect gift for travellers. 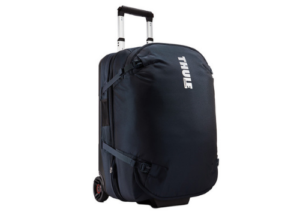 Having owned various carry-on bags with the manoeuvrability of a dodgy shopping trolley, I’ve recently become the proud owner of a Thule carry-on case and it is brilliant. Deceptively roomy, easy to handle and stylish, it has definitely improved my travels. 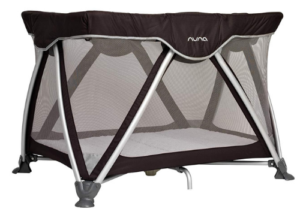 I have this travel cot and I’ve lost count of the number of trips it’s been on – both short and long-haul. I used it for my first mini-explorer and it’s remained in such good condition and been so reliable that we’ve used it for our second one. It’s perfect for family travel. As a frequent traveller, I spend much night out of the year in hotel rooms. While most stays go smoothly, once in a while, I have very restless nights. 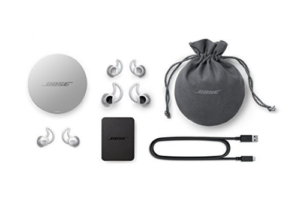 I recently discovered Bose Noise-Masking Sleep Buds. 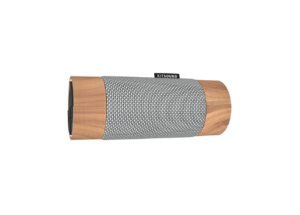 These wireless beauties block out ambient noise by allowing you to select from a variety of sounds as well as the option to set a wake-up alarm (that won’t disturb anyone else in the room).